Here is the March edition of the ‘Tell the Church’ Bulletin which is emailed to as many people as possible who are connected to churches in the Taunton area. It is produced by Taunton Team Chaplaincy which counts it a privilege to serve the churches and wider community in a variety of contexts. In the absence of a 'Churches Together' group in Taunton, the chaplaincy serves as one way in which churches can keep in touch with what is going on. We offer opportunities for church leaders to meet informally, disseminate information and, where our limited resources of people and finances permit, coordinate participation at events such as Taunton Flower Show. We are grateful for prayer and financial support by individuals and congregations but, in common with other areas of life, our costs are rising. If you would be willing to hear more about the answers to prayer, partnerships we have pioneered with civic and community bodies and people we have helped we would be pleased to offer a speaker for your church gathering. 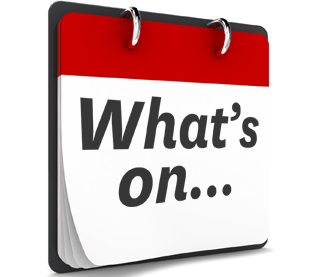 We are eager to receive information about and dates of events organised by local Christians and on occasions we will include details of other activities that might be of interest to members of local congregations. Please use the information as you feel helpful in your church notices, newsletters and community engagement. If you don’t already receive this bulletin direct and wish to do so please send us your email address. We have created a bulletin for all the dates which can be reproduced for use in Churches. The information here is reproduced on a dedicated ‘Tell the Church’ page on our website. 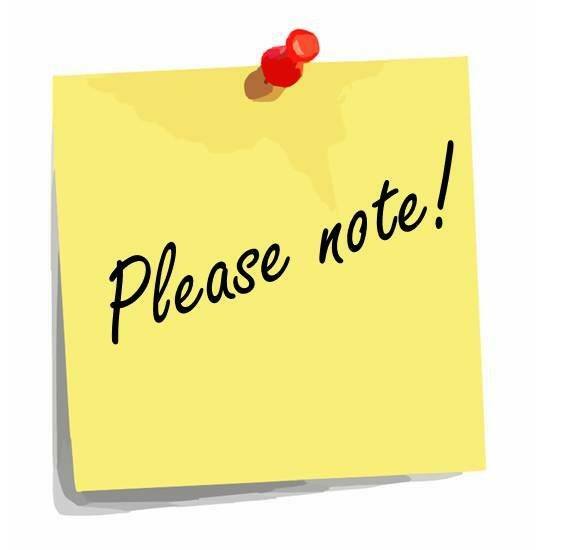 Simply save the following link and visit it whenever you want to know what is going on in and beyond various churches in the town: Tell the Church Web Page If you are a new recipient please see the notes at the foot of the bulletin. The deadline for including information in next month’s edition is 5.00 pm on Tuesday 26th March. Anything that we receive beyond that date will be put on our Facebook and Twitter Page. Thank you for sharing this information among the wider church family. This year the Service has been prepared by the Christian women of Slovenia and is entitled "Come, Everything is Ready" based on Luke ch 14, vv 15-24. Services in Taunton are: at 10.30am at Taunton Baptist Church and a shortened (30 min) lunchtime Service at 1.15-1.45pm at St Mary Magdalene Church, Hammet Street. Pancake Party with Celebrity Chef. 7.00pm for 7.30 £5 a head. 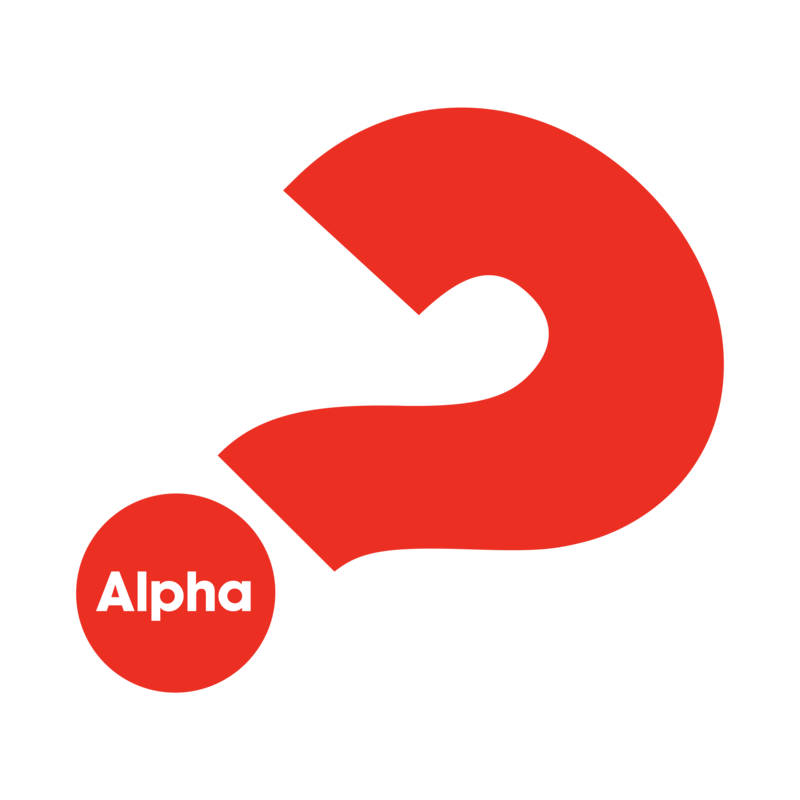 Riverside Church will run an Alpha Course beginning Wednesday 6 March 2019 at 6.30pm. If you are asking questions about life, this is opportunity to ask anything you like! All welcome. Food is served and it’s all free! 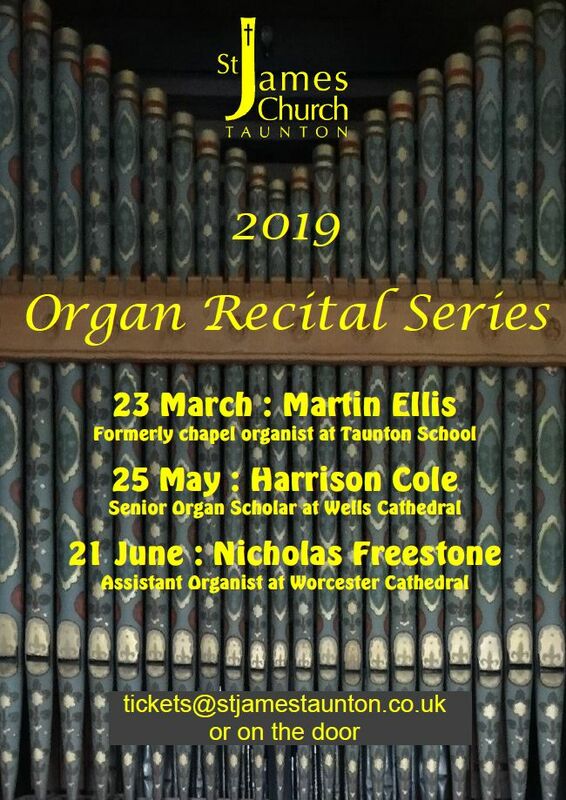 Saturday 9 March - Thornfalcon Parish Church - Kings College Taunton Chamber Choir presents a programme of music at 6.30 p.m. Following the concert wine and nibbles will be served. There will be a retiring collection in aid of church funds. There will be an opportunity for the congregation to sing through the Taize chants from 4.40pm. Ian Andrews will speak at Riverside Church on Sunday 10 March, at the morning service at 10.30am and at 7pm. Ian has a long-established healing ministry, and is the founder of Citadel Ministries. He has been training and activating people into the healing ministry since he received a prophecy that God wanted him to build a “mountain of men and women who would move in the power of God”. The aim of the course is to provide a space for us to journey through Lent together and to deepen faith, through engagement with visual art. We will meet in the church. People will be welcomed with refreshments. And each session may include time for separation into smaller discussion groups. Each session will, in whatever way the leader chooses, engage with the story of Jesus and with our own stories, making use of visual art in some way. Leaders might use powerpoint, provide large examples, or produce small illustrated leaflets. Leaders are free to run the session as they wish – and variety is welcome! See and hear what God is doing in the Middle East and North Africa and how you can been involved. Tuesday 26 March 6pm - 8pm - Citizens Somerset Founding Assembly at Richard Huish College, South Road, Taunton, TA1 3DZ. Over the last two years, our member churches, schools, colleges, and community groups have been using the tools of Community Organising to build relationships and develop a shared agenda to tackle social justice issues in our area. Community Organising provides a way for you and others in churches to put faith into action. Please do RSVP to confirm your place at this launch assembly. Tickets are free and can be booked here: https://www.eventbrite.co.uk/e/citizens-somerset-founding-assembly-tickets-51811079333. Please contact our Development Community Organiser, Richard Weaver at richard.weaver@citizenswales.org.uk for more information about the event. Come and join us at Rowbarton Methodist Church to hear about the last year and hear Dawn Holmes talk about her book 'Freed from Shame' addressing the church about its treatment of people with mental health issues. Saturday 30 March 7pm – 10pm. BARN DANCE at St Andrew’s Church Hall, Kingston Road, Taunton. Dancing to ‘Stick the Fiddle’ Fun for all ages – buffet supper included in the ticket price. Bring your own drinks. Contact St Andrew’s Church Parish Office (01823 332531) for price and to reserve your seat! Come along and join in the fun. Saturday 30 March 2pm -3:30pm - Neighbourhood Chaplains free information events, at Creech St Michael Baptist Church, Taunton & Sat 27th April, 9-11am at Grosvenor Church, Barnstaple. More about Neighbourhood Chaplains here. Email here for further event information. Fusion work alongside churches to see every student and young person encounter and know Christ! - Discipling new Christians, raising leaders and multiplying small groups. We believe God is doing a great work in Taunton. We are coming from Manchester to sow in to this work to see students saved and belong in Church families, it will be great to meet you! This is a free event open to anyone who has a heart to reach young adults and students. Please book online as soon as you know you can come. A free event to resource, encourage & grow your church.Registration starts at 9:30am with the day finishing at 3pm. Exploring everyday faith for the real world. See attached poster for details. To book: https://www.eventbrite.co.uk/e/mission-shed-central-2019-thank-god-its-monday-tgim-tickets-56555318480 or tel: 01392 294973. We would love to include as many events as we can in our Tell the Church Bulletin. Please email tellthechurch@tauntonteamchaplaincy.org with all the details. We have produced a leaflet which can be used alongside church newsletters or magazines. Click on the button to view and print. There will be no Walk of Witness on Good Friday in Taunton Town Centre this year. United services will be held at St James Church and St Mary Magadelene Church at 10:30am. Look out for more details of an alternative event in Taunton Town Centre on Easter Saturday. STREET PASTORS are recr uiting new members willing to serve in Taunton and/or Bridgwater to respond to the numbers of contractors moving into the area due to the Hinkley C development. A Training course begins on Saturday 30th March. Please contact Coordinator Adrian Prior-Sankey on Taunton@streetpastors.org.uk if you wish to receive more information. Call 0800 587 9900, visit www. fosteringinsomerset.org.uk or come to an information evening: www.fosteringinsomerset.org.uk/events. WELCOMING THE STRANGER: TWR-Taunton Welcomes Refugees is three years old and so far has provided intensive support to 12 Syrian Families. We have worked in Taunton, Bridgwater & Wellington, and in partnership with the local authorities and many other agencies including local employers. We would welcome new people interested in supporting the existing families and the new families that are expected in 2019. The roles are varied but the key need is to join one of the groups of 6-7 people around each individual family. Specialist skills such as English Language teaching are also welcome. If you live a more rural area, perhaps you could join the network providing days out & other activities. Please contact Chris Waddilove at tauntonwelcomesrefugees@gmail.com or 07490 917991. The Bishop of Taunton is our Patron. Musgrove Hospital Spiritual Care team are looking to recruit extra volunteers. We particularly need volunteers who can distribute Communion to patients at their bedside on a Sunday Morning or be available to help in the service in the Chapel. Currently most volunteers do this one Sunday a month so that they are still able to attend their own church regularly. If you think this is something you might be interested in, please email chaplains@tst.nhs.uk or ring 01823 342515 and ask to speak to our lead chaplain Rev’d Julia French or Nicki Bradford to arrange an informal discussion. Taunton Area Debt Advice - Increased demand for our services is causing Taunton Area Debt Advice to expand. Specifically, we are looking for new volunteers to train as debt advisers. If you are interested in finding our more, contact Graham Reid on 07850 463996. Prayer Pastors – Members of local churches are asked to commit themselves to pray for the work of Taunton Street and School Pastors. Those who wish to attend the Saturday night prayer base once a month any time between 9.30 pm and 3 am will be particularly welcome. School Pastors - Taunton Academy’s School Pastors team is seeking new recruits for its support of pupils in term time. A full training programme will be offered. Contact Marcus Paul via marcus_kpaul@yahoo.co.uk for more details. The Besom in Taunton continues to grow, providing more opportunities for Christians wanting to use their God-given gifting in practical ways, and thereby serve increasing numbers of our disadvantaged neighbours. Praise God! The Lord is providing more opportunities for Christians to witness to the community through more key workers and social working agencies calling on, and relying on, The Besom for help. As demand increases, so do the opportunities for local Christians to use whatever gifting they have been given to serve the Lord through this ministry. Please email Elaine at besomtaunton@gmail.com or call her on 07432 629444 to find out how you can get involved. We are actively seeking new team members to cover a wide spectrum of situations. 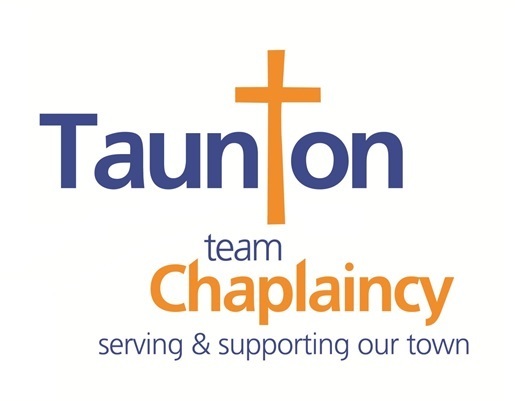 Take a look at our web site www.tauntonteamchaplaincy.org to find out more. We welcome expressions of interest to join our existing chaplains supporting workers in shops and offices, residents and staff in care homes and the general public in the town centre shopping areas, parks and open spaces and to cover a few hours to extend the opening times at the Chaplaincy Offices in the Market House.We particularly need more volunteers to work alongside our chaplains to the homeless and vulnerable and to fill vacancies in Care Homes and among the marginalised. All applicants must have been a committed member of their church for over a year and have the support of their minister/church leader. Please email us or call to chat if any of these opportunities are of interest to you. Simply contact Adrian Prior-Sankey, our Lead Chaplain, at leadchaplain@tauntonteamchaplaincy.org call 07581 424 420 or pop in if you are passing when our ‘welcome’ sign is outside - We’re on the first floor of the Market House accessed from the doors opposite Starbucks café. Trustees - Taunton Team Chaplaincy is looking for additional trustees to join the board of this local Christian charity and to help with the direction of this exciting ministry. It has been operating for 8+ years and continues to grow. If feel you have a calling to helping in this way and would like to know more, please contact the Chair of Trustees, Andy Hall at scc.chaplain@gmail.com for an informal, no obligation chat. The Hive Cafe at Trull Church Community Centre. Teas, coffees, hot chocolate, homemade cakes and light lunches are served by our wonderful team of local volunteers. All are welcome. Friendship Group – Priorswood Community Centre, First Tuesday of the Month, 3-4pm. Cooperative Funeral Care host a group for those who have been affected by a bereavement. 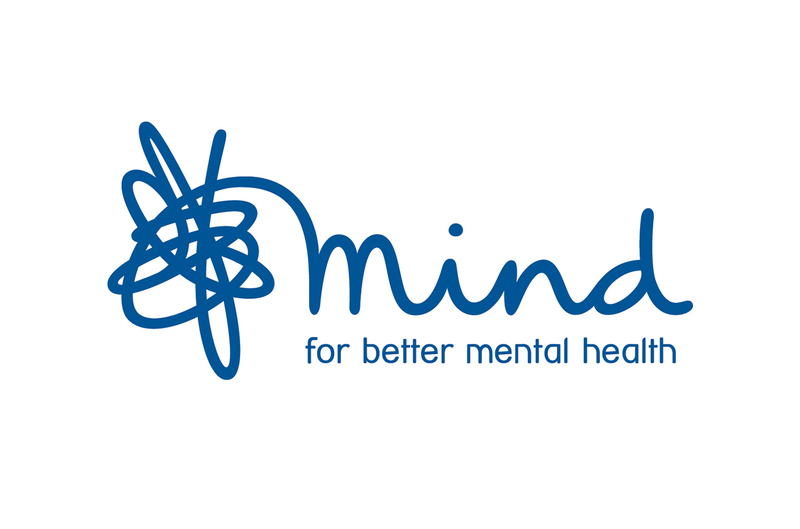 It is a place to have a tea or coffee and a supportive chat with their caring and experienced staff. Taunton Memory Café and Singing for the Brain – takes place at St James’ Church Hall on alternate Tuesdays from 10.30 am – 12.30 pm. For more information contact the Alzheimer’s Society on 01278 663 760 or organiser Carol Sweeting on 07850 928 905. Transformation Prayer Group - A group from various Taunton Churches meets to pray for the town and its spiritual revival on the second Tuesday of every month from 7.30 pm – 9.00 pm at St James’ Church. Everyone is welcome to come along. Further details available from Andy Hall via scc.chaplain@gmail.com 07817 680436/ 01823 274 656. This initiative was inspired by the ‘Transformation Videos’ which are being shown monthly on Fridays at North Street Church – Read the story here and see the diary dates for details. Coffee Connect - A monthly coffee morning of fellowship and fun, run especially for those who find themselves on their own during the day. Coffee Connects meets on the 1st Tuesday of every month from 10.30am – 12noon in the East Hall at Trull Church Community Centre. Busy Bees Craft Group - This friendly group meets on the 1st Tuesday of every month at 1pm – 3pm, to create a huge variety of different craft work. All welcome at Trull Church Community Centre. Christian Meditation Meetings - Following the successful introductory course, Christian meditation meetings will be held at the Catholic Centre St Georges Church Taunton TA1 3NN on the first and third TUESDAYS of the month from 5:30pm to 6:30pm starting on March 5th. ( no meeting in Holy Week) Everyone is very welcome. Contact Deacon Ed Channing 01823251253 for information. A prayer time is held at 10 am every Wednesday morning in the prayer room of Taunton Team Chaplaincy’s offices at the Market House. Members of local churches are welcome to join us for all or part of the hour during which we pray for the town and the people we meet. Mothers’ Union meetings at St Mary Magdalene Church – take place in the Coffee Shop area of the Church at 2.30 pm on the first Wednesday of every month and welcome everyone. For more information please contact Rosemary Sage on 01823 276 797. Lighthouse Cafe at North Street Church - 10am - 12pm - Tea, Coffee and Cake in a lovely environment. All Welcome. Drop into Silence – Taunton Friends host a "Drop into Silence' at the Quaker Meeting House in Bath Place every Thursday between 12.30 and 1.30 pm. Visitors can drop in for as long or as short a period as they like. In the welcome area there will be a Friend dispensing tea coffee and biscuits, and happy to chat, for anyone that wants to eat their sandwiches there. Contact Lynn on 01823 327 530 or 07594 562 270 or email lynn@tauntonmeetinghouse.co.uk for further information. Parking available in Belvedere Road car park. The best free car park is a 2 minute walk away and it's free after 6, it's by the job centre at TA6 3HG. The shop still has part of old sign on it saying 'We buy We sell We trade'. Also you can park in Asda but only for 2 hours. Please also note our new Young People’s Peer Support Group for those aged 14yrs+ who have been bereaved by suicide is now running. Please contact us for more information. Flexercise – Those wanting to keep moving will be made welcome by the FLEXERCISE group at Taunton Baptist Church in Silver Street every Friday at 10.00 am. It is of great benefit and promoted by AGE UK Somerset. It is attended by men and ladies and no special clothing is required. Anyone welcome Friday nights 7.30pm until 9pm every fortnight. Feel free to drop in at any time. Inter-church worship and prayer nights. We are moving to Riverside Church (TA1 2EQ): Upper Room from 15th Feb! 'The Mix' is an intergenerational social time, held at Rowbarton Methodist Church, on the last Saturday of each month from 3-5pm. Board games, Wii games and dance, table tennis, pool, or just sit and chat over a cup of tea and a piece of cake. The group provides a safe and confidential space for anyone aged 14yrs+ to attend who has been bereaved by suicide. TA1 1NS Anyone who wishes to attend this meeting is invited to an Introductory Meeting prior to joining. Parking available in Belvedere Road car park. A Healing Service is held at St Mary Magdalene Parish Church on the second Sunday of each month at 5 pm. This is a brief non Eucharistic service, simple in format, and accessible to all who would like additional prayer for themselves or others. Signposts - Taunton Team Chaplaincy maintains a directory of local statutory and voluntary agencies that offer help. Copies are available by email on request and organisers are advised to check that the details published are up to date. 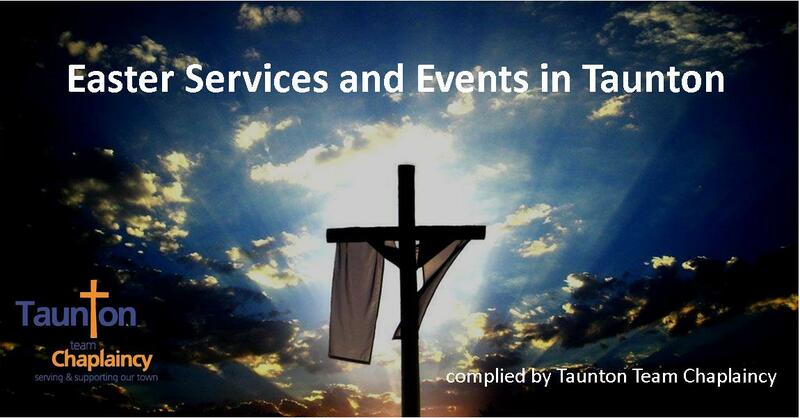 Contact Adrian Prior-Sankey at leadchaplain@:tauntonteamchaplaincy.org to request a copy. 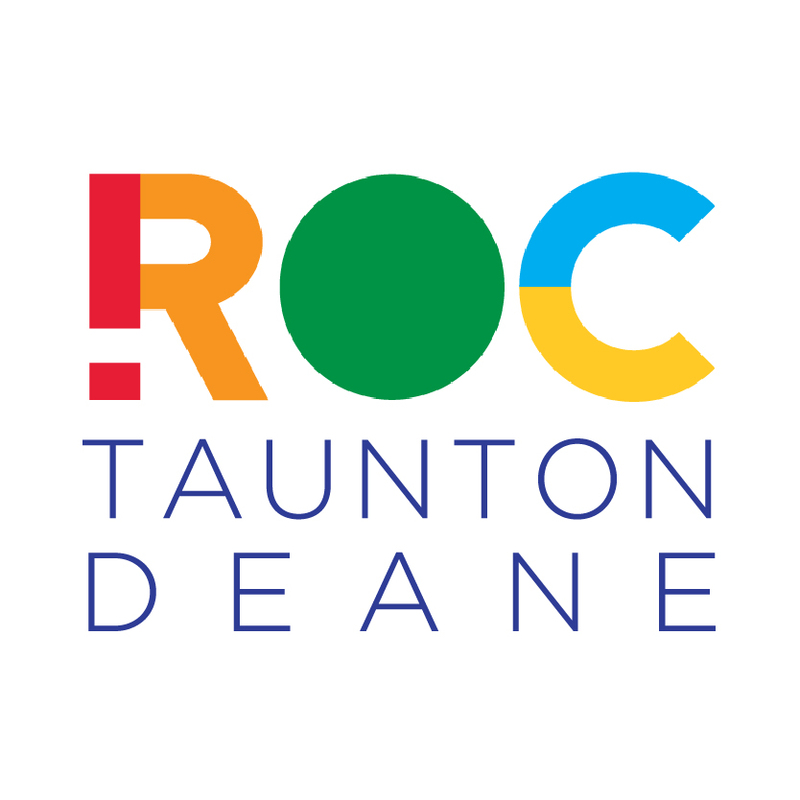 ROC are putting together a directory of everything that is already happening in Taunton: what is already happening, when and where it takes place and who to contact for more information. Need some creative input to your church or business? Sam has 10 years of industry experience in creative marketing, social media, design, photography and video. Sam is now working freelance and based in Taunton he'd love to talk to you about the tools on social media or to look at creating some engaging content for your church or business. His heart is to use this experience more for the Kingdom especially to reach young people with hope. Sam can't wait to meet you! Fundraising sites - Businesses or community venues willing to host a collecting tin for Taunton Street Pastors. 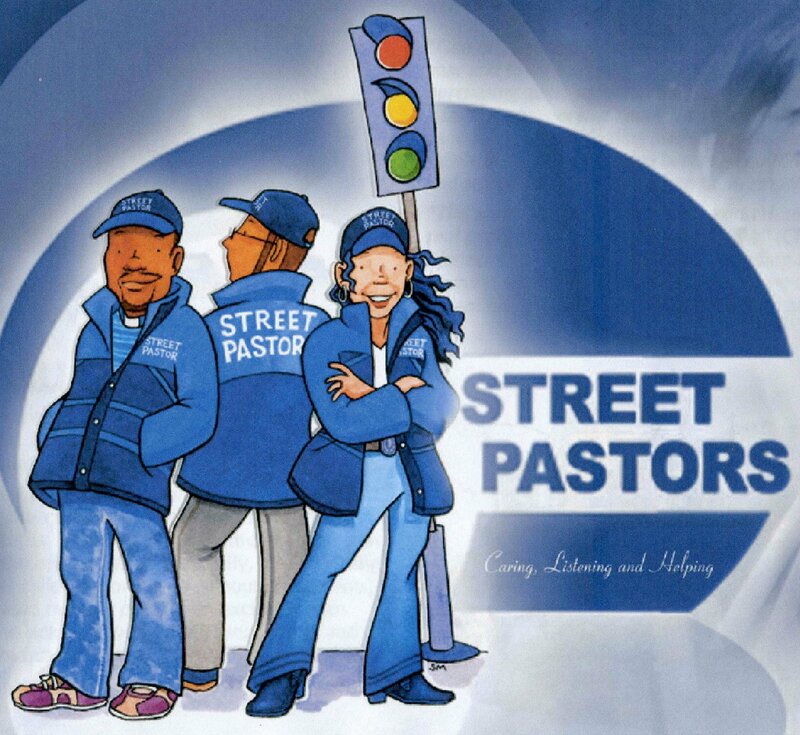 Contact our coordinator at Taunton@streetpastors.org.uk or phone 07773 038 622. Street Pastors are appealing for donations of sleeping bags and blankets (no duvets) to hand out to rough sleepers. Donations can be left at the Chaplaincy offices in Market House or at North Street Church when open. Tone FM will advertise your event online free of charge if you upload details to their web page. Click HERE to fill out the details and once the details have been approved, it will show on their events calendar. Thank you again to those churches and individuals who have recently made a financial gift to Taunton Team Chaplaincy. Our funding comes from individuals and local churches and we keep our outgoings to an absolute minimum. We would love to share some of the stories of the difference that Jesus makes through chaplaincy in the lives of those we meet so please read the notes at the end if you’d like to book a preacher one Sunday or speaker at a weekday daytime or evening event. If you are a new recipient we need to explain that this email is sent out to a mix of local church leaders and others who are active in local churches in the hope that the information will be passed to those responsible for magazines, weekly newsletters and verbal announcements. Where posters or fliers are mentioned it is requested that you download a copy from the dropbox link given and then print off a copy for display on the appropriate notice board. Please let us know if you have difficulty accessing any of the web-links and we will happily explore an alternative way of sending the information to you. If you have church members or friends who’d like to receive this information direct or if you wish to be deleted from the monthly communications you can reply to this address tellthechurch@tauntonteamchaplaincy.org making your request clear and we’ll sort it out.